Brokerage company TD Ameritrade has found a solution to the problem of allowing customers immediate access to funds transferred to their accounts as simply as possible, one that takes advantage of Apple's mobile payment features, including Apple Pay and Apple Business Chat. Customers of TD Ameritrade will be able to add funds to their accounts via a debit card registered to Apple Pay, which can be used for transfers. Using Apple Business Chat, the platform that allows companies to hold conversations and perform various services via iMessage, users can transfer up to $10,000 per day into their accounts, and are able to use it with TD Ameritrade's services immediately. Earlier transfers used complex wire transfers or involved a wait of several days before the funds became available in accounts, with the new system seemingly offering a more direct and faster route, reports Reuters. According to head of strategic partnerships and emerging technologies Sunayna Tuteja, the delay was one of the top five reasons people called customer services, with the new system likely to cut down the number of support calls. 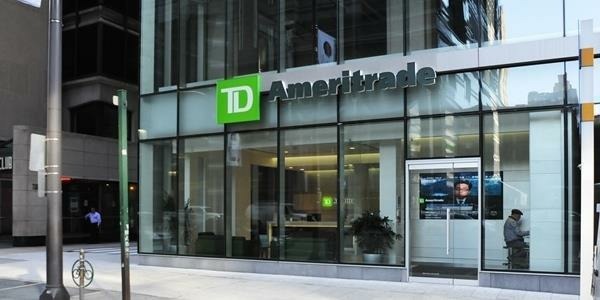 "When a customer wants to put money into a TD Ameritrade account, we gave them the same choices they had in the 1970s and 1980s," said Tuteja. "We knew it was a persistent client irritant." The majority of transfers take place through the Automated Clearing House system, which takes days to clear, despite attempts by the overseeing group to speed up the process. While debit card payments are faster and widely used, the firm was uncertain about the law regarding funding brokerage accounts, but has since discovered the issue lies with the use of credit cards, not debit cards. Apple Pay was selected as the avenue for the transfers for a number of reasons, including ease of use and security. It is also noted that three quarters of TD Ameritrade's clients use iOS devices, making Apple Pay a logical fit. It is possible more alternative ways for transfers will be made available in the future, as the company has already put in the regulatory research and built the infrastructure for Apple Pay, making an extension for payment services provided by Google and Tencent highly plausible.